Raw foodism in pregnancy? Is it possible? And more importantly, is it healthy and safe? You can live high or even 100% raw food lifestyle while being pregnant. 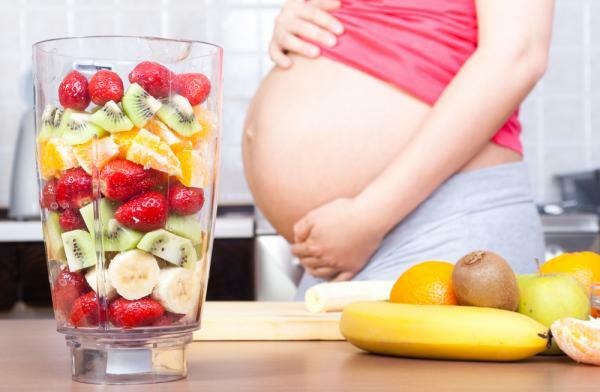 There is no reason why a woman blessed to be pregnant can’t eat a high raw diet during pregnancy, and no doctor will tell you that raw fruits, vegetables, nuts and seeds aren’t healthy for you and your little unborn baby you carry. However, you should educate yourself about all important nutrients in order to get everything ‘essential’ to your body and to your little human being who is developing in your womb. No pregnancy is the same and you should always listen to your own body. One women’s experience may differ hugely from another. Your tasting buds might change hugely or not at all. Don’t be surprised either way 🙂 especially the first trimester, you may experience that some of the food you always loved cannot be even looked at! Your body might refuse naturally cleansing foods such as dark leafy greens, algae such as chlorella and herbs. Your body just wants to protect your developing baby. By listening to your own intuition and body you will feel a sense of empowerment which will aid you during your entire experience as a pregnant woman. Instincts are strong during this time; embrace them! If you experience morning sickness, it doesn’t mean you are doing something wrong or your body is too toxic. Your hormone levels are changing. Water with lemon juice and ginger, ginger tea, raw nut butter on crackers, apple for headache, glass of water with a tablespoon of apple cider vinegar and honey maigh help. Even fruit smoothie. You will need to be eating enough to put on the healthy amount of weight necessary during pregnancy and breastfeeding but there is no need to eat for two! Nutrient density is important not high calories. Please, buy only organic food. You don’t want to put pesticides and other toxic chemicals while being pregnant. I have written an article on why to eat organic which you can read HERE. There are several key nutrients that you should ensure getting into your body during pregnancy. These are: Protein, Essential Fatty Acids and DHA/EPA, Folate, Vitamin B12, Iron, Calcium, Vitamin K, Vitamin D, and Choline. Please note that ALL vitamins and minerals are important during pregnancy and breastfeeding, these are just a few focal points especially as a vegan or raw foodist. I highly recommend drinking fresh coconut water from young coconuts as well as eating coconut meat out of the shell. Very nutritious and beneficial for both of you 🙂 You can read more about the benefits of young coconuts HERE. A lovely article, Eva, thank you. However, you forgot to mention iodine. After my 2 pregnancies I started to have issues with my thyroid. I was eating a sheet of nori every day while pregnant and almost every day when breastfeeding and using some sea salt. But clearly it wasn’t enough. Iodine is something that vegans (and meat-eaters alike) can be low in due to the conventional farming and pollution of the environment. Even eating only purely organic produce doesn’t guarantee enough iodine.